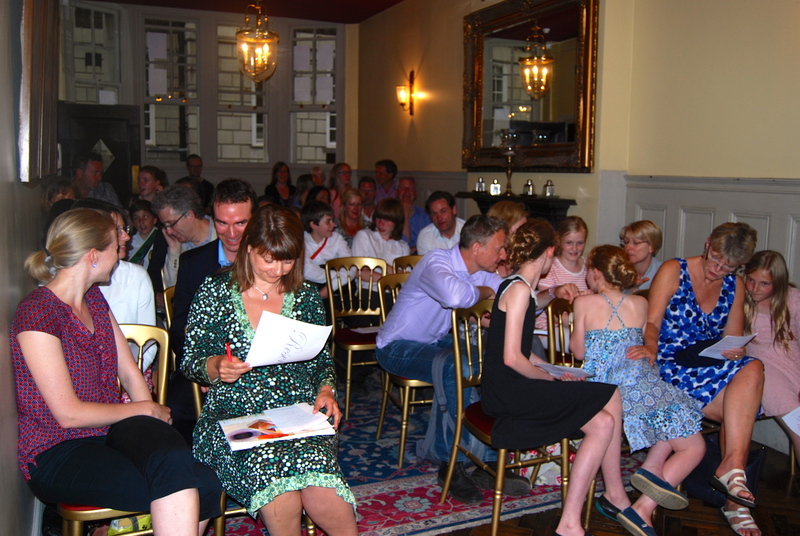 This year my annual student concert was held at the 1901 Arts Club, a beautiful, intimate venue in a former schoolmaster’s house (built in 1901) close to London’s Waterloo Station. 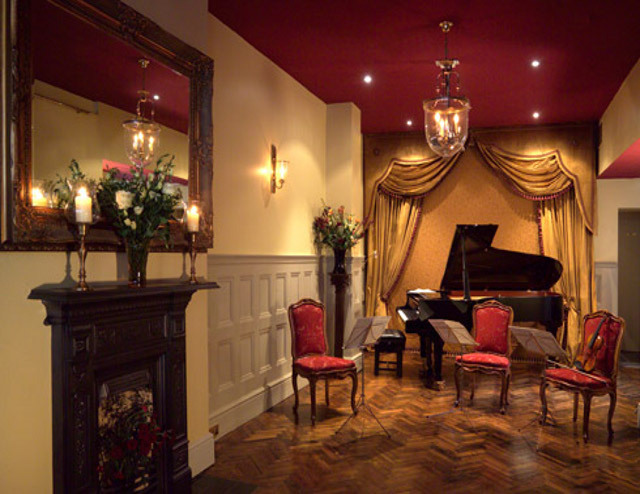 The venue boasts a lovely Steinway C grand piano and an informal, convivial atmosphere, thanks in no small part to the very welcoming personalities of the people who run it. I use the venue for the South London Concert Series, an innovative series of concerts which I organise and co-host with my friend and piano teaching colleague, Lorraine Liyanage. I felt the small size of the venue (it seats just 45 people in a gold and red salon redolent of a 19th-century European drawing room) would enable the young performers to feel less anxious and to relax into the special atmosphere of the place. I cannot stress too highly the importance of performing, at whatever level one plays, and I have written extensively on this subject on this blog, my sister blog The Cross-Eyed Pianist, and in my column for Pianist magazine. Music was written to be shared – whether in the home or the salons of other people’s houses, or in recital rooms or concert halls. But on another more important level performing builds confidence, not just in the sphere of music but in many other walks of life, and equips people (of all ages) with an important life-skill. When I was the age of my students (9-14) I had few opportunities to perform for others. My then piano teacher never organised concerts for her students, not even small-scale events in her home, and as a pianist at school I was always rather sidelined (a solo instrument being deemed the epitome of showing off! ), so my only real performance experience was either in the orchestra (where I played the clarinet) or in the choir, both instances where one’s performance anxiety is tempered by performing with others. One of the many decisions I took about my piano teaching when I established my practice in 2006 was that I would give my students performance opportunities. And so from little house concerts (with obligatory tea parties!) to the event this week at the 1901 Arts Club, the annual student concert has become an integral part of my studio’s activities. Preparations begin many months before the actual date – and I know from my own experience as someone who has come relatively late to performing (in my late 40s) that preparation is everything. Being well-prepared is one of the best insurance policies against nerves and will enable one to pull off a convincing, enjoyable and polished performance on the day. Good preparation, including practising performing in less stressful situations, also means that any slips or errors in the performance on the day can usually be skimmed over and will not upset the flow of the performance. 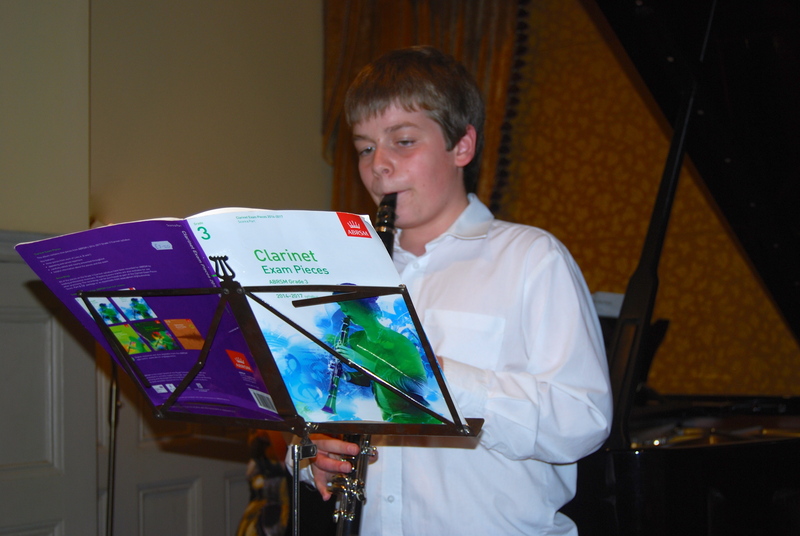 Many of my students chose to perform exam pieces – music which they had already played in an exam situation and with which they were therefore very comfortable. It’s always interesting to play exam repertoire after one has put it before the critical ears of the examiner: when I revisit my Diploma pieces (as I am now, in preparation for a concert in January) I notice a distinct sense of relaxation in the music – and my students have commented on this about their own pieces too. Some selected new pieces, and we also had solo clarinet and saxophone performances (it is so gratifying that a number of my students play other instruments – saxophone, trumpet, clarinet and cello – or sing in school choirs). I always perform at my students’ concerts as well. I think it is important for them to see their teacher performing and to understand that I do my practising and preparation just as they do; also that I am also engaged in ongoing learning of new repertoire or revising previously-learnt music. The event at the 1901 Arts Club was really lovely. The young performers all played beautifully (no visible nerves whatsoever, though a number did say to me afterwards that they were really nervous!) and we had a lovely range of music from Arvo Pärt and Einaudi to Bartok and ragtime. Despite knowing my students pretty well now (some have been learning with me almost as long as I have been teaching), I am always amazed at the way they step up to perform with such poise. I don’t know what I do, but maybe by assuring them that their performance will be wonderful, they learn to trust me and this gives them confidence. Each performance was greeted with much enthusiastic applause by family and friends, and at the end of the event another piano teaching friend, Rebecca Singerman-Knight, awarded prizes for Star Performer (Tom Driver) and Most Enjoyable Performance (Eli Hughes). The children were presented with boxes of chocolate grand pianos (which I doubt lasted the homeward journey!). I have had some lovely feedback, from students and parents, and I think the general consensus is that this was a really enjoyable and inspiring event. I certainly felt so! Posted in General, Performing and tagged as 1901 Arts Club, performing, piano students, piano teaching, the benefits of performing. These concerts are so important for the teacher too. 1. Seeing the students perform provides an enhanced perspective of their progress and ideas for their further development. 2. After exhaustively giving out all year the teacher gets it all back in spades!